(35 sqm) Ground Floor living room (satellite TV) with double sofa bed and kitchen cupboard, 1 double bedroom, 1 bathroom with shower. 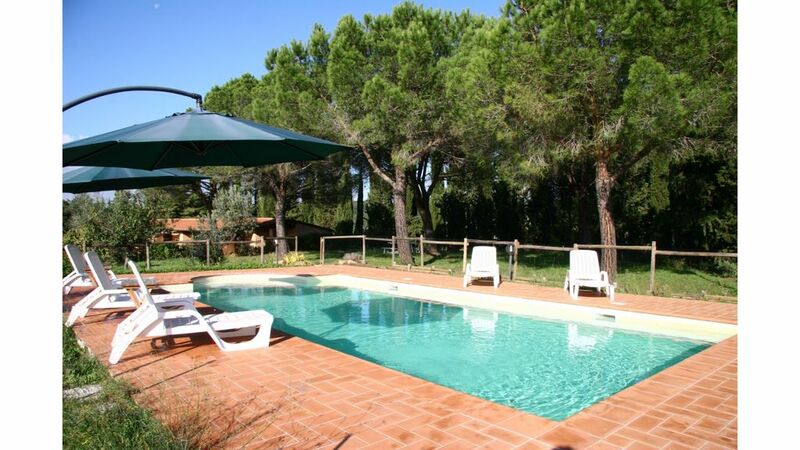 Shared: large outdoor area with swimming pool, 2 grills for outdoor cooking, pine wood. The apartments have been designed to meet all the needs and needs of our guests and to make their stay in Maremma more enjoyable. The Thesan and Aurora apartments are suitable for those who want to spend a holiday with their family and children, while for those looking for a romantic apartment or a romantic holiday, the apartments Teresa, Coliberto and Laran are what they do for them; the exclusive La Villa is suitable for two couples of friends with children, for a large family, or for a close-knit group of friends.